Knowledge is key and our technicians are committed to sharing their knowledge with you! We also have the knowledge to perform these services on ANY Asian Model! 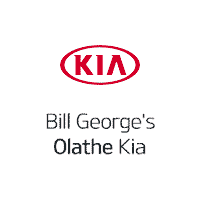 At Bill George's Olathe Kia our highly qualified technicians take pride in helping our customers understand the services we provide to maintain their KIA’s to maximize performance. Knowledge is key and our technicians are committed to sharing their knowledge with you! We also have the knowledge to perform these services on ANY Asian Model! Regular Oil and filter changes are a crucial element to keeping your KIA running at optimal performance. Regular Oil and Filter changes will keep friction and engine temperature optimized & prevent engine sludge from forming. This could lead to expensive engine repair or replacement and failure of compliance with KIA’s warranty guidelines. This maintenance item is recommended at least every 7,500 miles. Schedules of every 3,750 miles are HIGHLY RECOMMENDED. Your KIA needs to breathe. Without a constant supply of fresh, unrestricted air, your KIA will not be able to achieve top fuel economy, engine response or overall performance. Regular inspection and or replacement of this maintenance item is recommended at least every 25,000 miles. Rotate your tires regularly to get the most life and best overall ride possible. With the majority of the weight of your vehicle resting up front with the engine, combined with all the cornering that is demanded of the front tires. It is recommended to rotate your tires every 7,500 miles. Doing so will reduce uneven tread wear and maximize traction for the life of the set. Transmissions operate similarly to engines in regard to the need of lubricant to aid in the proper function of these parts. Like your engine, the transmission fluid needs to be serviced at specified intervals (30k, 60k, etc.) to ensure proper function, smoother ride as well as keeping within KIA’s warranty guidelines. Replacement of this fluid every 30,000-mile interval is HIGHLY RECOMMENDED. With all the heat that is generated by your KIA’s engine, your coolant has a critical job to do. Protect the engine from overheating and to keep it within a specific operating range to ensure maximum performance under any circumstance. It is recommended to replace this critical fluid every 30,000 miles to maximize performance and keep within KIA’s warranty guidelines. Replacing this fluid routinely is HIGHLY RECOMMENDED. Over the lifespan of your KIA, your fuel tank will build up a reserve of tiny particles left over from many fills at the pump. As the fuel filter prevents these particles from impending operation of the fuel pump, replacing the filter at 60,000 miles is generally recommended. Clean fuel filters allow for maximum fuel flow and subsequently, engine response and performance will be optimal. Your KIA is equipped with an advanced emissions reduction system. In order to protect the environment from excessive fuel vapor and achieve better fuel economy, the emissions reduction system utilizes excess fuel vapor as it builds pressure in your gas tank. At specified intervals, the ECM (engine control module) will purge the filtered fuel vapor into the engine to ensure maximum fuel consumption and prevent the excess vapor from escaping into the atmosphere. As this filter draws fresh air into the system it is a CRITICAL maintenance item and is HIGHLY RECOMMENDED to replace the canister air filter every 30,000 miles. Doing so will prevent possible check engine illumination, poor fuel economy, difficulty re-fueling or other fuel related issues that can lead to expensive repair. Any damage due to lack of replacement of this filter will not be covered under Warranty. Depending on Model/Year, your KIA may require having an engine timing belt replacement at every 60,000-mile interval. Timing belts are the driving force for coordination of intake and exhaust valves. Without this coordination, your KIA wouldn’t be able to run properly, if at all. Also, if this belt were to break suddenly while the engine is running critical damage is EMINENT. To avoid possible engine replacement and to ensure compliance with KIA’s maintenance guidelines. It is HIGHLY RECOMMENDED to replace your engine’s timing belt every 60,000 miles.